Next week will be the first time in nearly a hundred years that a total solar eclipse will cross over the entire continental United States. The last time a similar phenomenon occurred was in 1918. Growing up, I remember hearing stories from my grandfather who watched the eclipse from the family farm in north Roger Mills County and I am excited to experience this event not far from where he stood long ago. 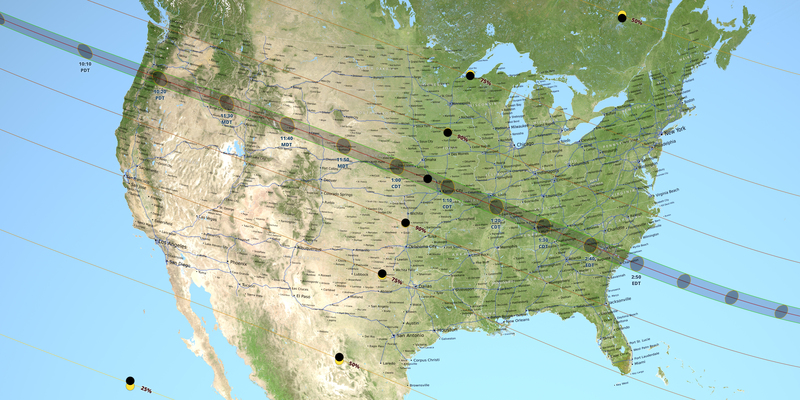 The path of totality – areas that will experience complete darkness as result of the eclipse – will stretch from Oregon all the way to South Carolina. While Oklahoma does not fall under this contained region, we will still be able to experience a partial eclipse. For example, in Oklahoma City the eclipse will begin at roughly 11:30 a.m. and last until 2:30 p.m. About 85 percent of the sun will be obstructed by the moon. As Vice Chairman of the House Science Committee, I am focused on working with my colleagues to find ways to support our nation’s space and research programs. A big part of this mission is to inspire the next generation of scientists. That’s why it’s critical that we take advantage of moments like this to provide students with a hands-on introduction to important scientific principles. It’s one thing to watch a video of the eclipse on YouTube, but it’s an entirely different experience to look up to the sky and witness it firsthand. If you are planning to watch the eclipse, there are important safety measures you must follow. First and foremost is that you must use special eye protection to view the eclipse. Because Oklahoma is outside the path of totality, protective glasses or devices must be used at all times when viewing the eclipse. A partial eclipse may appear darker but its solar rays will still reach Earth. Solar glasses are absolutely necessary to avoid significant damage to your eyes and children should be monitored closely to ensure their eyes are properly protected at all times. Pairs of solar glasses can be purchased online and at some local retailers, while certain local libraries are offering free pairs. I encourage families to use this opportunity to introduce children to the science behind outer space and astronomy. While you can certainly view the eclipse from your backyard, there are a number of events throughout our state aimed at enhancing the viewing experience. Science Museum Oklahoma in Oklahoma City has solar glasses for sale and will host informational viewing events with planetarium experts. In Enid, the NOC Mackie Planetarium offers the chance to witness the eclipse through the lens of their planetarium telescope between 11 a.m. and 1 p.m. Many communities are taking advantage of the interest in the eclipse to host neighborhood events, which are a great way to share this unique experience with those around you. However you decide to enjoy the upcoming total solar eclipse, I encourage everyone to be safe and learn more ahead of time at NASA’s official website here: https://eclipse2017.nasa.gov/.